Siesta. Oil on panel, 8" x 8". As May approaches, I'm fondly remembering our lovely trip to jimgermanbar a year ago. The way things have been going, it seems miraculous we were able to gather ten people for a weekend getaway! Since then, we've been busy moving Iron Goat Brewing to its new location in downtown Spokane, and in what meantime was available, I created an entirely new body of work in enamels and snagged myself an exciting new gallery. 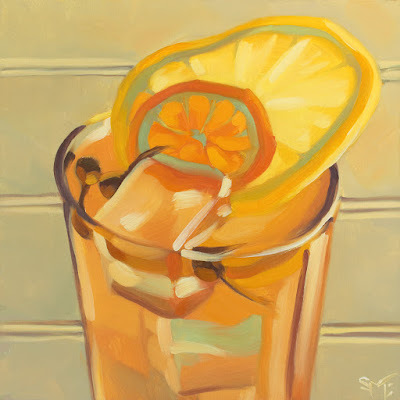 But as the weather warms up, it feels like time to make one of Audra Wint's summery Siestas: reposado tequila, chamomile liqueur, Cocchi Rosa and lemon in perfect, refreshing balance. I can't think of a better way to toast some exciting Mixology news: Mixology With a Twist will be featured in the May issue of Spokane Coeur d'Alene Living magazine. 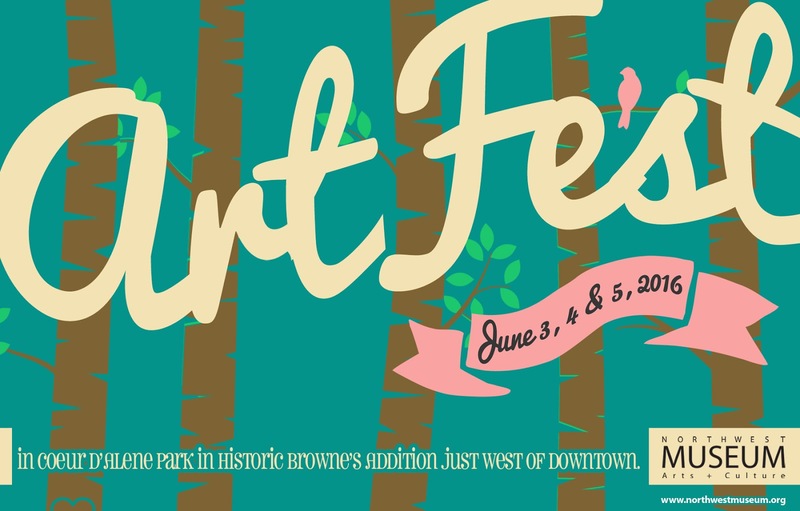 And in June, all things Mixology return to the Northwest Museum of Art and Culture's Artfest. As always, I'll have original paintings (this time from both books! ), copies of the books, small originals, and giclée reproductions. New to Artfest this year, the popular Cocktail Cards, which combine all recipes and paintings from both books in a handy deck of 52 recipe cards. So if the Siesta looks good to you, please join me this year and pick up a book! Or a painting! Or several!